Gas Struts or Gas Spring Struts or often referred to as ‘Hydraulics’ or ‘Lift Thingies’ have been around for a long time and are manufactured by many different companies. Some gas struts are engineered to create a fast lift whereas others are created for a slow lift. When fitting gas lift struts they should be fitted with the body above the shaft (the biggest part of the strut), with the rod (the silver part) pointing down. This helps to create a dampening effect with the last 20% of the lift and also gives lubrication to the seal in the strut. At StrutWise we see a lot of gas struts that have been fitted incorrectly that can contribute to premature failure of the strut unit. We also find struts that in an attempt to prevent the strut from collapsing have had the shaft clamped with pliers. Unfortunately this can destroy the gas strut in the process. We also often find mismatched gas struts. 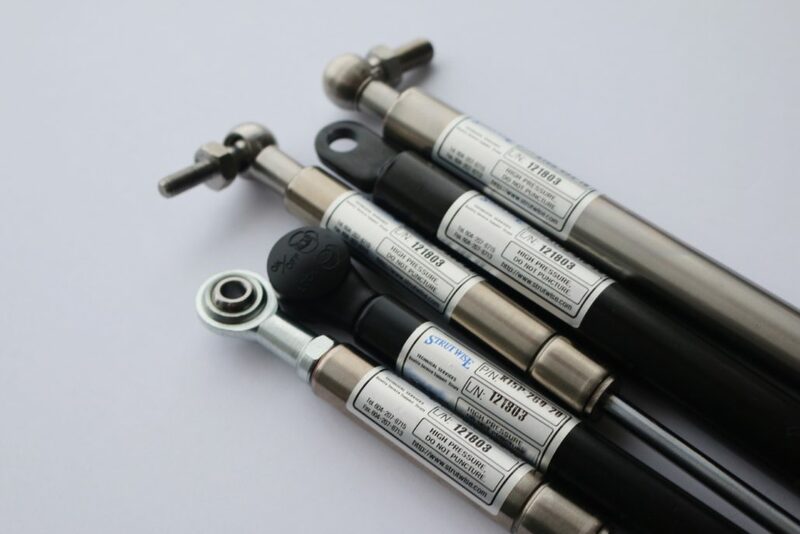 It is recommended to be careful with each gas strut as due to there being many thousands of different struts, each is made to match a specific task. Be careful, even if you have a gas strut that appears to be from the same make of vehicle! An example of this is the Chevrolet Camaro. The Camaro has several hood struts and each is designed to lift a different weight. We have customers who have come to us and said they bought a pair of struts and they did not last after only six months of use. A common cause of this is because of an incorrect load rating for the purpose. At StrutWise, we are here to help you make the right decision with regards to the correct type of replacement or re-service of your gas struts. If you have any questions about what to do, please feel free to get in contact with us. We can service a huge range of struts from many manufacturers. The best way to know if we can service yours, is to contact us. I might need help with a heavy duty gas strut? Are they still available? This is where StrutWise does the work for you. We can convert gas lift struts to many heavy duty applications. With large manufacturers it is often not economical for them to continue to produce many of their models in production. This can easily make it very difficult for you to find a replacement. Car doors are heavy, and it is not always obvious just how heavy they can be until too late. At StrutWise, we have found that many of our customers have resorted to using other devices when their lift struts fail, like pieces of wood, due to the perceived high costs involved with replacing them. If your gas strut is on the way to failing or has already failed, get in contact with us and you will be surprised how affordable they can be to replace or re-service. 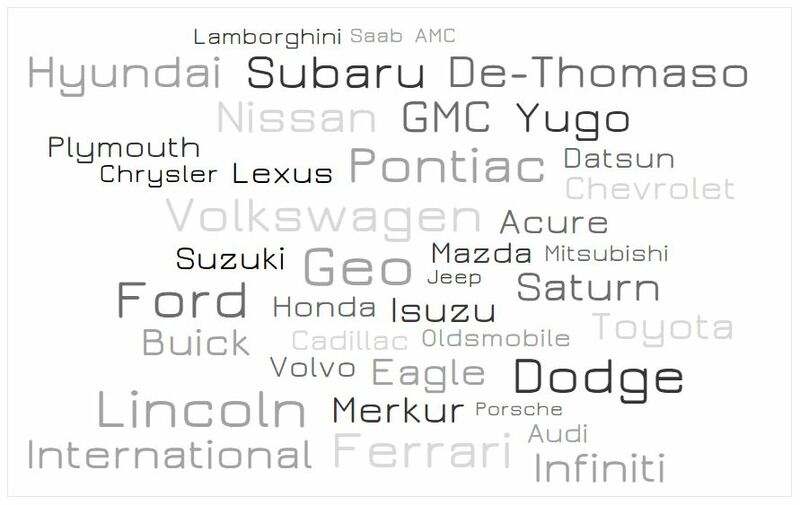 We service a large range of applications and a large range of vehicle manufacturers. If you have any inquiries, feel free to contact us using our form. See our range of serviced industries!